Vanilla extract is the epitome of all things good. You can’t tell me it isn’t because that would be a sin against the very nature of baked goods. The world cannot survive without the delectable integrity of Mother Nature’s most intelligible edible. A few reasons why I am so adamant about this must-have ingredient? 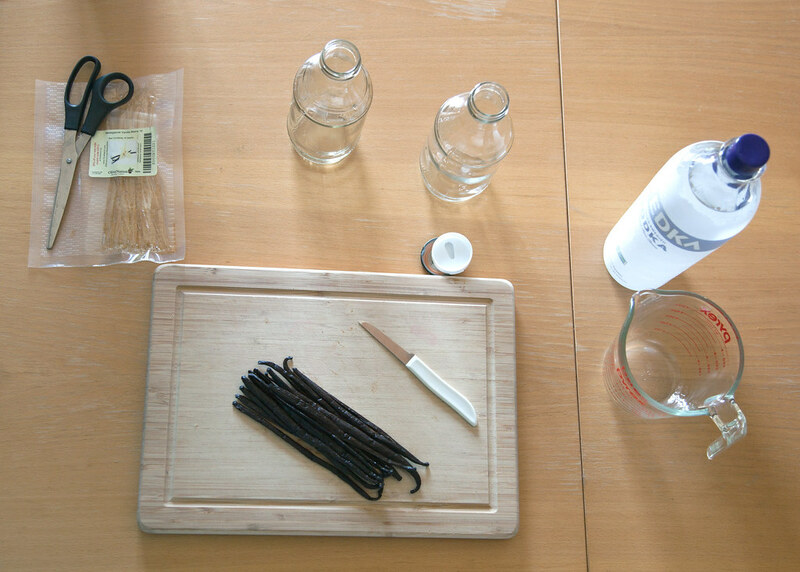 If you smell vanilla extract before eating, you most likely won’t eat as much. At least, so science says. Oh…and two months. Aka a lot of patience. Sorry. Cut the beans lengthwise with a sharp knife. Leave about an inch at the top of the bean uncut. Place inside of the container. Cover the vanilla beans completely with alcohol. Note that this may require you to increase the number of beans you use. Follow the simple rule of thumb: three beans for one cup of alcohol. Store in a cool, dry place. Every week or so give it a nice shake. After two months, your vanilla extract should be ready for use. Remember, every good thing that takes time. Once your vanilla extract is ready, the real fun begins. Try your hand at baking (check out these recipes for ideas: molten chocolate cake, Boston cream cupcakes, hot vanilla with cinnamon whipped cream, red velvet cake ), grab some friends, find that extra alcohol you have lying around, and throw yourself a little party.